A washed-up ex A-lister sinks his name and fortune on a production of a Raymond Carver story. He's rented the theater, written the script. He will direct, star, and hold interviews with the press until opening night arrives and puts his life on the line. He's the man known for three superhero franchise flicks, recognized on the street as "Birdman" and in his personal life as a failed husband, an inattentive father, and a frail mess of ego-wrapped nerves. This is Riggan Thomson as brought to life by Michael Keaton, one time Batman, long time missing-in-action character actor. Much has been made of the way Birdman plays, at times, like a sort of meta-narrative driven by our associatons between Keaton and Riggan. 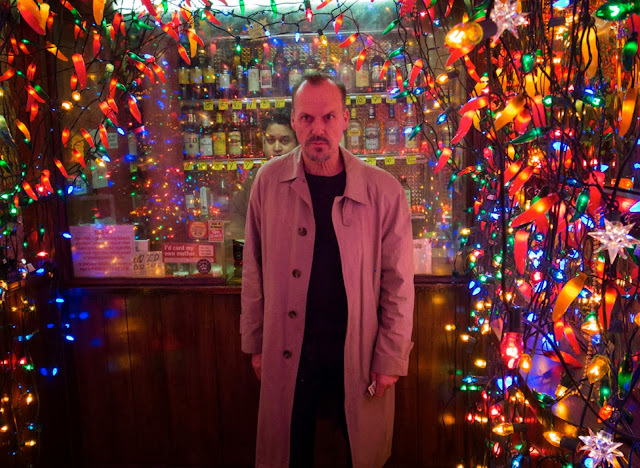 More has been made of Keaton's return to a leading role, but there are things that Birdman is and things too that give it more credit than it perhaps deserves. Of the things it is, a career revitalizing move certainly counts. We're reminded just what Keaton is capable of, and he's brilliantly cast as an actor able to tread that fine line that elicits our fear and our sympathy. Riggan teeters at the brink of madness, but leaves us with the burden of his own impossible expectations and heartache. He's a character for whom reality and fiction have merged, and the fluid movements of Birdman's cinematography serve to keep us trapped in Riggan's headspace, in the world of his creation. Though we never see things explicitly through his eyes, the "long take" illusions of the scenes draw us through the backstage oddities that exist because of him. This is his labyrinth, essentially, and as we move from dressing room to stage to alleyway everything blurs uneasily: are we seeing a hallucination or madness? Are we being treated to a metaphor or an actuality? Is this his headspace, his subconscious wishes, his imagination, or something else entirely? 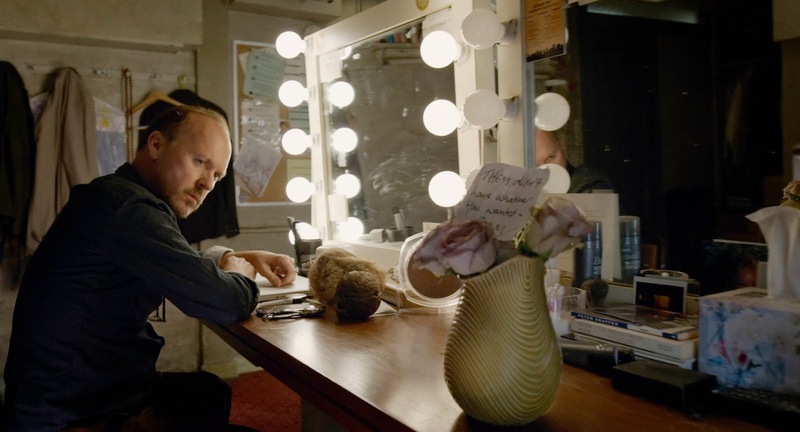 Birdman is the type of film that toys with wanting you to know. It wants to keep you guessing, wow you with its cleverness, and trick you into feeling, perhaps, some of the unexpected virtues of ignorance its pretentious subtitle flaunts. That's a long song and dance way of arguing that Birdman generally works in the dizzying construction of its backstage fantasy. Keaton succeeds, the cinematography succeeds, the interest in surrealism succeeds. It's nice to see, too, something that separates itself from straightforward storytelling holding its own with critics and audiences. Though I like Birdman, there are places where the film falls seriously short and where it could be said that it's perhaps not quite what it would like to be (yet seems convinced it is). Of these, we can quickly list the following dismissals: it is not a statement, it is not a fight song for individual art, it is not terribly unique, it is not really all that formally innovative, it falls short of saying anything really new, it does not end with a bang. Director Alejandro Gonzales Inarritu (Babel, 21 Grams, Amores Perros) is a man who has previously tended to seem too interested in conceptual projects to succeed in fully merging that concept as form with compelling content. Here, the content is compelling, but the form seems to drive it in directions that it shouldn't go. The film has all the marks of something that tries too hard and doesn't quite understand its own assets. It's a project that aches to be taken seriously, just as Riggan does, and in its striving it missteps and lands in a place of degraded melodrama and predictable outcomes. When it could easily rest on some of its quirkier laurels -- let Edward Norton take over, relish the delusions, dip further into the small, genuinely odd surprises -- Birdman falls prey to cloyingly poor decisions, particularly in relation to the forwarding of its central story and character motivations. It can't quite decide how it wants us to understand Riggan; whether he's an underdog hero, demented sap, or villain in disguise. While the ambiguity could be considered a point of interest, it wears thin as Riggan's actions become increasingly outsized. Instead of committing to genuine complication or allowing this character to exist in the moment, the film feeds us small, petty problems that just feel trite: Riggan was a kinda absent dad, but not a bad one. He wasn't a great husband, but he also wasn't awful enough that his ex-wife refuses to cheer him on. He wants to be famous, loved, and appreciated, but in that it becomes apparent that maybe he simply cares too much. 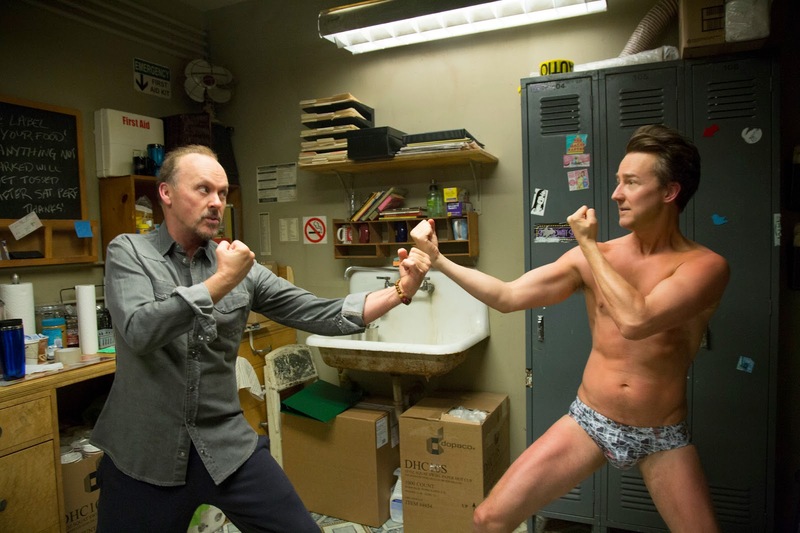 Birdman ultimately panders to these low-grade, often soapy dramas when it should do just the opposite: one man, one delusion, one battle against self (and Ed Norton). The rest, while occasionally entertaining, is distraction and background noise. The further the film splits between Riggan's psychology and the lives of other characters, the more we accumulate loose threads that lead to questions the film doesn't have time for. Curiously, when Innaritu does make time, we often find that the answers aren't worthwhile. As the film builds and the drums pound toward a dramatic conclusion, the pieces felt all the more slapdash. Riggan's problem may be that he doesn't understand what's happening to him, that he can't see a way out -- but that shouldn't be the film's. By the end, we're trapped in an overly familiar, hackneyed place: the movie backs itself into a corner it can't work itself out of without killing the illusion or submitting to it in full. So what does it do? It opens a window. Let's be real [this is a last line spoiler alert]: it takes a lot of trust for a film to believably lead toward suicide. If you can stick the landing, that's something deeply affecting. When that happens, it should feel like a betrayal or a loss...not like a gimmick in the face of a dead end. Loved this movie! Really well written review!